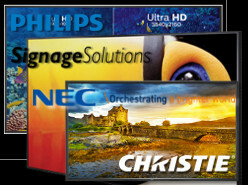 VidCom carries extensive rental inventory which is available for your production & post-production needs. Our rental inventory includes Cameras & Support gear, Switchers, VTR’s, Disk Recorders, Monitors, Test & Measurement, Converters, Streaming Appliances and lot more. VidCom Communications Ltd, based in Vancouver, BC is located in the heart of Production & Post-Production Industry. We are 5 minute drive from Vancouver Downtown & 15 minute drive from Burnaby. Here is link to our location. to check on pricing & availability. We have a comprehensive and extensive list of equipment available for your productions rental needs. Give us a call, we will help walk you through your needs to make sure that you don’t forget anything!